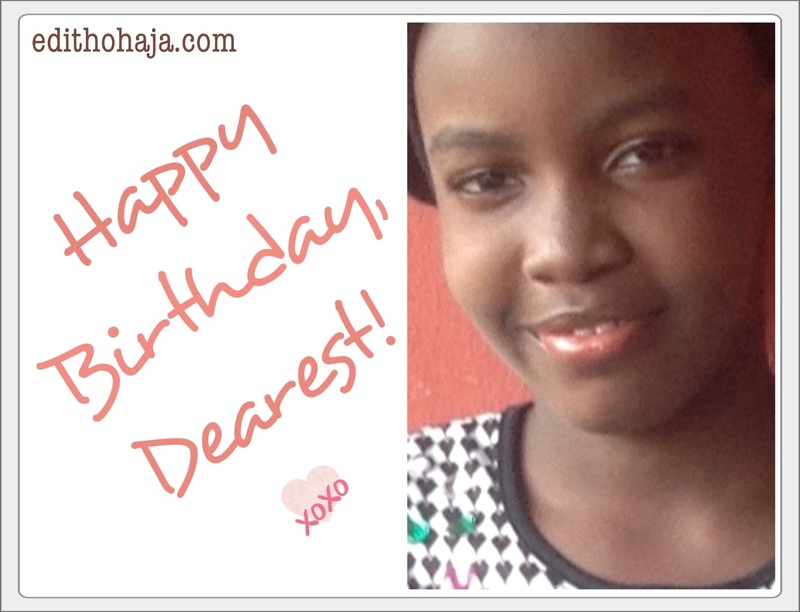 Every year on her birthday, I celebrate and admonish my niece, Ezinne, with a poem. In today’s poem, by God’s grace, I remind her of her blessed heritage and obligations to others as well. This is in light of my belief that the value of a person’s life is in their reverence for God and usefulness to others. Read and be blessed! 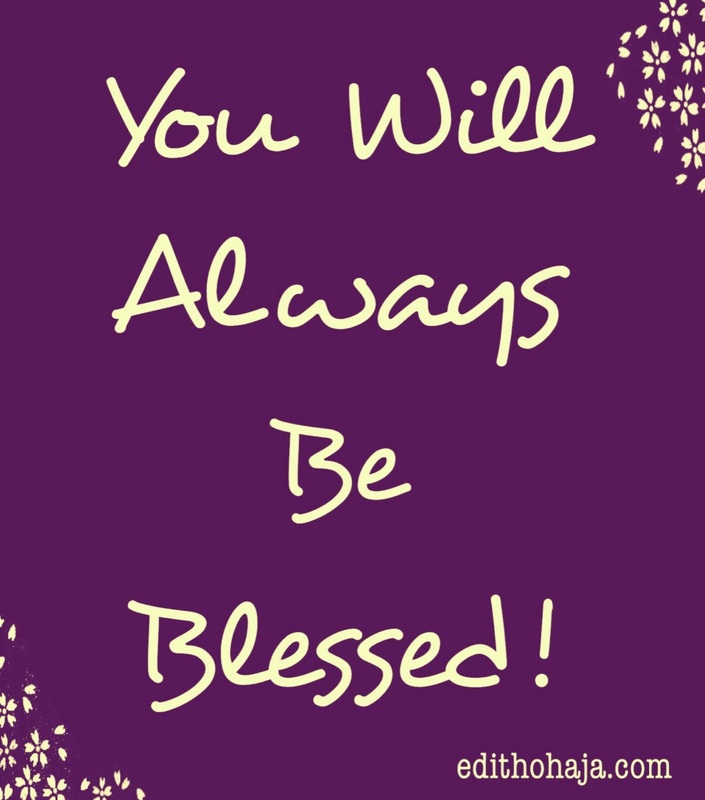 YOU WILL ALWAYS BE BLESSED! “Come unto me, all ye that labour and are heavy laden, and I will give you rest. Take my yoke upon you, and learn of me; for I am meek and lowly in heart: and ye shall find rest unto your souls. Beautiful poem that reminds us of God's faithfulness. Totally in sync with the Scripture I studied this morning. A blessed 365 days I wish you, Ezinne. And more grace, Aunty Edith! Glory to God and thank you for your good wishes. Hope you can do me a poem soon and that it won't be a sonnet. Lol! You're highly blessed, Solomon! Happy Birthday Ezinne... I wish you the best in Life and please take every word of Aunty Edith seriously and receive it to yourself. I appreciate, Chinedum. Ezinne has a good record of paying attention. So I believe she will make the best of this advice. Hope you are doing well on the job wherever it is. I pray much favour for you in Jesus' name. Amazing poem MA! Indeed, God is faithful to those who trust in him. God bless you ma. Thanks a lot for dropping by, Rose! God bless you real good too. Praise God and thanks a bunch, RebeccaLynn! You are superbly blessed in Jesus' name. I believe she will by God's grace. Thanks a bunch, Jackline! You're kind and dependable. Bless you! Praise God! Thanks a whole lot, Norm. I pray great grace upon your ministry in Jesus' name. Praise God. God's grace in your ministry, Chizoba, in Jesus' name. AMEN NICE PRAYERS FOR YOUR CHILDREN MAY GOD CONTINUE TO BLESS U, MA. Amen and may He bless you abundantly too, Cynthia, in Jesus' name. Amen and may He bless you much too, Vivian! it amazes me how you constantly show love and kindness to all of us. God bless you with joy and long life so that others too can benefit from your awesomeness. I always have something to learn from every single post from your blog that I get to read. I have learnt and will try my very best, to never take 'no' for an answer and to go for that which I feel is best for me. God bless you ma! very inspiring poem that keeps reminding us of God's blessings on us. i learnt to count my blessings day by day so that i will be surprised by God's unending blessings. thank you ma'am and God bless. Lovely piece you have here ma. God bless you. Something to tell ourselves, younger self and juniors daily, we are all blessed beyond measure. As Christian, we should endeavor to speak good things in our life always. Thank you ma, you too are blessed. Your love and constant inspiration will always be something to emulate. Thank you ma! The blessings of God maketh rich and added no sorrows, this is what the bible says and so shall it be for every believer of the Gospel. Thank you for this wonderful piece; I pray Ezinne grows to be a God fearing woman; a woman of virtue with the good of others at heart, just like you ma. Happy birthday in arrear & may the good lord be with you. Though it is coming late, I wish her the best she wishes herself. 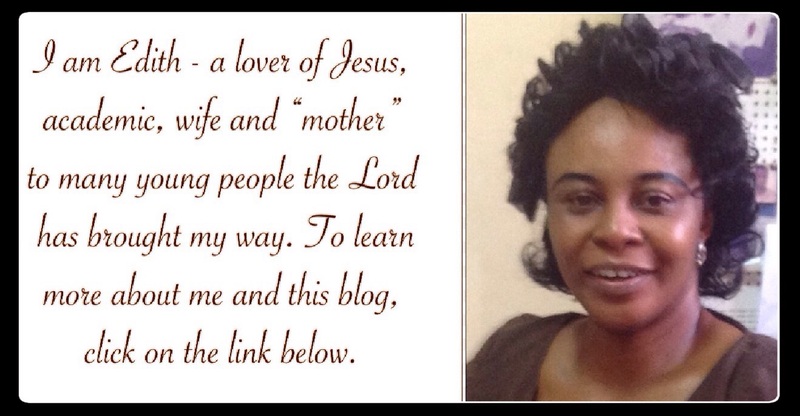 The Lord's blessings follow her in all her life endeavors in Jesus' Name . Nice post. This poem is more than motivational! I feel touched reading it, i didn't even want it to end. Ma u are blessed! Ur writings inspires me alot, i must confess. Live out his word so they can see gospel is the path to rest. If happiness is every man's number one goal, and you can get it by impacting positively into the next person's life, why is it hard to do? Be a positive influence to people and watch it go viral like disease. That is how to feed the five thousand when you are not Jesus. A wonderful poem for a wonderful niece, yes, the generation of the righteous shall be head wherever they are placed and by the grace of God our blessings are sure. A morally-endowed poem it is! Wonderful poem Ma, Indeed God is faithful and only Him can give peace. Lovely poem that springs from a heart of love. God has placed us in charge of the universe, the head and not the tail. "The gospel is the path to rest /Obedience to the Lord is peace" in God i find joy and peace, He is my confidence. Awwn... I wish it's my birthday and I got such a message. It's so wonderful and sweet. I know am blessed. Thank you aunty. Happy birthday to her and may we always be blessed as well. What spectacular characteristics she got. Wow! Hope I could get to meet with her to learn from her too. Happy belated birthday niece. Aunty loves you as much as we do. This is so lovely. God has made so much promises to us and is willing to fulfill them if we work in accordance to his will. Christianity entails being positive and living a positive life, knowing of a truth that God oversees our affair in life. We should always be mindful of the fact that God's blessings upon us are innumerable. There's nothing so rewardful than being upright.. Humans would acknoweldge that, God would also acknowledge that. An upright man in Christ would find favor on earth here and also in heaven. Thank you ma for this piece..
You're an amazing writer Ma! Indeed, God is real faithful to those who trust in him. Bless the name of the Lord! Ma this is beautiful! We pray for God's grace to keep leading us in all ramifications of our lives. Grace has no limits, with it achievement and accomplishment is sure. We are blessed! May we always be the head and not the tail. Happy birthday to her ,may she continue to grow in wisdom and knowledge. Nice motivational poem! "To know that everything is possible, to constantly go for the best”. Always speak positively to yourself .so far as u obey God and keep to his commandment, things will be going well for your good. Ezinne is really blessed to have such a wonderful aunty like you ma. i pray all your wishes will be brought to fulfillment in her life. Ma, you are truly an aunty every niece,nephew seeks for. Your words of encouragement and admonishment is truly perceived. Wishing your niece a belated birthday and many more years to her. A song of ode, a poem of love that comes from within to the dearest of dearest. This poem encourage long life and the important of a new age, it is a titillating and exuberant piece with nice rhythm. It shakes the heart of appreciation and inculcates the important of birthday. It uphold humanity and serenity in the eyes of the beholder. NIGERIA prays for growth and development, aunty Edith prays for same towards her younger sister ezinne,. Thank God there are still people who brings reminisce into the present for the future towards its heritage of liberation. Nice poem ma, one day u will write a poem for me, my birthday is November 26. Kudos ma. Ma, you are indeed an inspirationer. this is a nice poem. the lord is great and may his blessings be upon you. I think the poetic world will be place that will be recommended for all if poet start acknowledging God in there poem as you keep doing ma. Am really INSPIRED ma! God bless you! With these prayers. She is truly bless. I pray she continues to hold on to this consciousness that she is blessed and a blessing to many. -You will always be blessed! The grace whivh God has bestowed upon us is great beyond all measures. We shouldnt feel that we are alone because God is ever with us. When we get God's blessings, we shouldnt fail to share with others who are in need because that is God's reason for blessing us. Obeying and fearing God is the best thing that can happen to anybody. With Him, all things are possible.The faithful will always be blessed. God bless you ma. An unending amen ma, the blessings of the Lord is my heritage and my faithfulness to him is forever sure.....my life of fulfillment and peace an example of God in me and every one around me will testify and join me in being a vessel of his wonders. Mummy for blessed I am for the woman of God has proclaimed it upon me thank u ma I am blessed indeed. She must be special. I pray these prayers keep her up when duties call. For aunt to speak about you, you sure are special. May God's favours remain binding in your life in Jesus name. Amen! I proclaim in my family and friends life that we will always be blessed, so as you ma for sharing this wonderful post of proclaimatio , remain blesses ma. Nice poem. It baffles me how yo constantly show love and kindness to all and sundry.God bless you with an unending joy and long life so that others will emulate from your good deeds. Amen, I am definitely a partaker of that blessing. I believe I am blessed beyond measures....Ma thanks for reminding us of how special we are, when we are in Christ. I tap into this blessings ....Amen...And I will help out others as much as I can. I am blessed !. Indeed, goodwill outshines ill will. She would definitely have all the best life could offer. I have a share in these blessings though. She is really blessed having an aunt who admonishes her in such manner, and equally prays for her. I pray that God will actually perfect His works in her life. However, I do tap from her prayers. Happy belated birthday to her. God has blessed her. Happy birthday darling... The message shouldn't be hers' alone I guess... Anyways, I would go on... This poem is encouraging and challenging at the same time. Don't take "NO" for an answer, pursue the best cos you are blessed already as the best and since so, don't forget the down-trodden. This I would like to call my own summary of the poem. I've been blessed by this short but pungent poem. God bless you Ma. Nice one,happy birthday dear ,wishing long life and prosperity. Ma your piece is always touching the soul and mind.God never abandons those who keep to his words and trust in him.I wish your lovely niece a happy birthday and pray for God's grace and blessings . Happy birthday to your, beautiful miss Ezinne. I wish you the very best in life. And just like this nice piece, crafted for you states, "you will always be blessed dear." Happy birthday to you ezinne dear.I wish you life's choicest goodies.more love💙❤ and grace. As a believer being in an enviable position for receiving God’s provisions is being an extension of his grace. This happens with receiving the Lord’s inbirthings of faith.We are blessed because we have a guaranteed inheritance,We are also blessed because, as chosen and adopted sons and daughters of the King, we will receive the riches, blessings, and very nature of Christ. Happy belated birthday ezinne, I wish you God's grace in all you put your hands. The gospel is the path to rest. When you follow the gospel and is faithful to God, you will find rest. This rest is eternal. It awaits every faithful and obedient child of God. The bible said, seek first the kingdom of God and every other thing shall be added unto you. Happy birthday Ezinne. Indeed, I am blessed and encouraged with this message. It is my duty to put my faith in action believing that my generation and the ones to come are blessed; even as I try to be upright in serving the Lord. Happy belated birthday to her. You are such a lovely aunt. Ezinne, you are so lucky to have a godly aunt. I also feel blessed after reading the message. The poem has a life-saving message for those who have lost all hope. God is faithful. Since we were created by God, His goodness is abundant. Unending blessings is our portion as God's children. Since we were created by God whose goodness is abundant, Unending blessings is our portion as God's children. We are born to enjoy as children of God we must surely be blest always in all we do. We should also stretch out helping hand of love always. Awesome poem that speaks of God's promises to His children. I so love this Ma!